The best pocket knife will be as sharp as a hunting knife, functional and easy to maintain, and easy to conceal. There are some that are tiny and weigh as little as 1.5 ounces (Buck Knives 505RWS Knight Pocket Knife) and then the supposed monsters which break the pockets at over 12 ounces (Benchmade 275BKSN Plain Edge Black Coated Blade). The line with pocket knives compared to hunting or survival knives is clearer, so picking a great pocket knife is one of the more stress free activities in a knife users life choices. The lifetime Buck warranty has less power in this list, since most pocket knives durability, although important, are not as deeply abused as knives in other environments. There is also the question of what type of locking mechanism a user would prefer, and if that adds more weight to the product in the long run. The handle is still an important part of the pocket knife, not because of the type of activity, but many on the list rely on one hand open and closing movements. An uncomfortable handle can make that an extreme chore, as well as add extra bulk to the pocket if the user decides to carry it there. Pocket knives also tend to have more ‘all in ones’ that although not of the best quality, make sense when you apply the idea that it will be tucked away in the pocket and is for light use. Quality is still a concern here, but for the most part the premium pocket knife market is mostly filled with materials of the same types. The proud feature of this pocket knife is the handle, aligned with G10 scales with aluminum bolster. 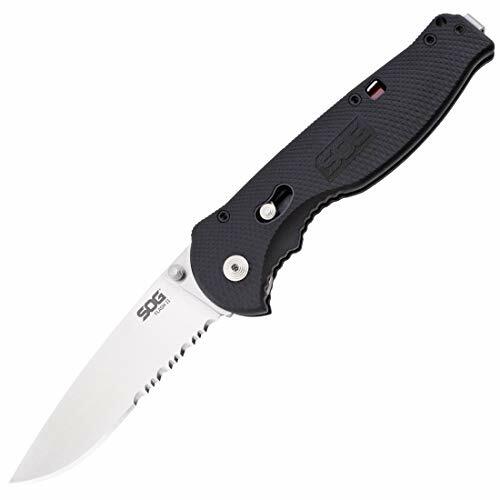 The blade is made of M390 super steel, special and gets the job done. The entire blade is easy to wield and equipped with Axis lock with axis assist. The blade length is 3.60 inches, and only a modest 4.75 inches when closed, making it smaller than most cell phones. It has a wee bit of weight to it at 5.20 ounces, and shows good form and durability because of it. A hard drop to the floor won’t spring the knife, and Benchmade stands by this product and offers a lifetime guarantee if need be. The blade materials are a mash up of anodized aluminum and other components, and is a really well made blade. The entire knife is comfortable in the hands whether closed or open, and the Axis lock is tried and true. The Benchmade Super Steel Barrage is also good to look at, as they didn’t skimp on the materials or the design of this pocket knife. With a chromium level of 20% in the blade, it is truly one of the best made blades on this list with a high rating in both rust and corrosion resistance. This is a solid buy for anyone looking for a great pocket knife, and even with the high price point, the craftsmanship is well worth the money. Buck is a big player in the field, and with the Buck Knives 110BRS Folding Hunter Knife users get a low priced pocket knife that is only 4 7/8 inches and 7.2 ounces. 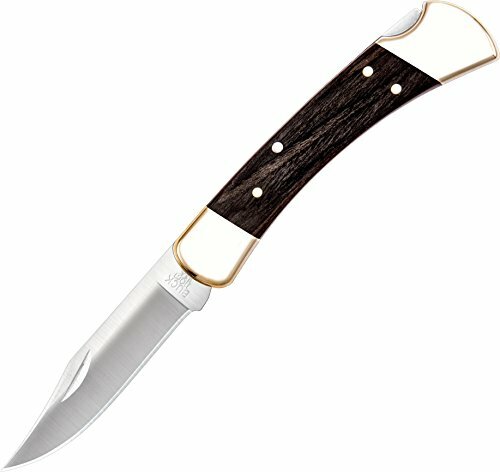 The blade is 3 ¾ inch 420 HC steel with a dymondwood grain handle with polished brass bolsters. A nice touch from buck is a leather sheath, and the usual lifetime warranty. This is part of the 50th anniversary celebration series from Buck with remakes, where all 110’s manufactured in 2014 have a special emblem on the knife handle as well as additional features and accessories. The price can easily fool the casual consumer, which may look at this pocket knife as cheap junk. The original Buck Knives 110BRS Folding Hunter Knife as well as this remake are both high quality, well thought out and cared for products. Some may look at the newer technology and more feature rich knives, but this is definitely a tried and true product right down to its core. The only downside to this knife is the extra weight when compared to others in the same class. 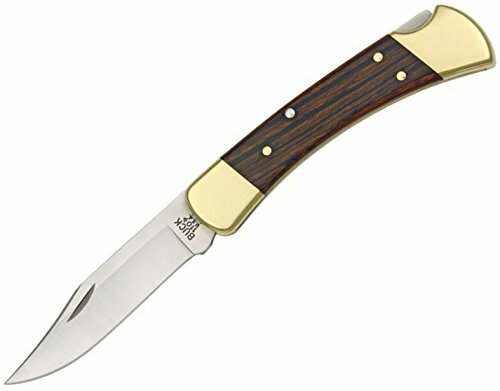 But with one of the lowest prices on the list, this old school remake of a classic is very much one of the most reliable and best pocket knives on the list. Buck continues its dominance with the Buck Knives 505RWS Knight Pocket Knife, featuring a 1 7/8 drop point 420HC steel blade and an incredible 2 ¾ overall length when closed. Weighing in at only 1.5 ounces, this is in the top five of this list as the lightest pocket knife, easily. 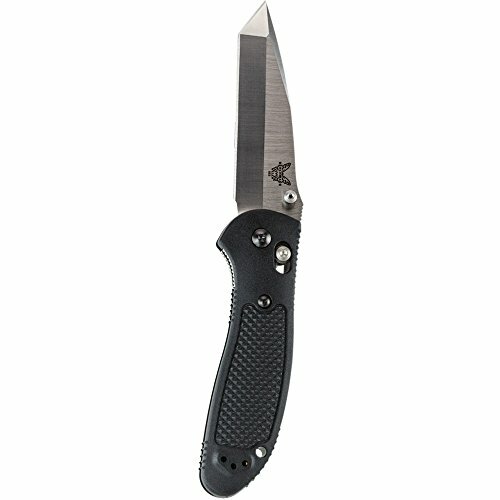 Even with the small size, this pocket knife is pretty capable, and has a nail notch for opening with a lock back design. The edge is incredibly sharp and should not be underestimated for multiple uses. It’s size is its greatest attribute, and it can fit into the front pocket of any shirt like it was a credit card or folded paper. The downside of having a knife this small is that it can be lost just as easily, but that is more user error than maker error. As one of the smallest knives on the list, it is also one of the lower priced units, all without sacrificing any quality. It is like a mini version of one of the top pocket knives, and in some user’s case, their actual finger may be just as long as the knife itself. Considering the many times something sharp is needed, being able to pull this out at a moment’s notice makes it a fantastic tool. This is a wonderful pocket knife from Buck that shouldn’t go unnoticed on any account, and is a fine addition to the best pocket knife list. When looking away from the more well-known companies, it’s still easy to find quality pocket knives like the Kershaw Leek Knife. 4 inches when closed, the blade is made of 14C28N steel, with an overall knife weight of 3.1 ounces. The prize in the feature list is that this is an openly ambidextrous pocket knife, with a Speed safe assisted opening system making it ideal to open in either the left or the right hand. A comfortable handle helps in the process, a Bead-blasted stainless steel that feels good in a short run through. The edge is ‘box cutter sharp’ worthy, and maintains that sharpness through the lifetime of the knife with correct usage. Kershaw offers a limited lifetime warranty on this product, rather than full. This pocket knife is very sleek and feels good in the hands, but because of the materials that the handle is made out of long running use may get uncomfortable. Even heavy endurance tasks may irritate some user’s hands, even though Kershaw went out of its way to make it universal. The knife action is spring assisted, and with the correct Allen wrench can be adjusted and cleaned with ease. A great pocket knife this is, it just lacks some of the long term use that other products in the same price range offer. 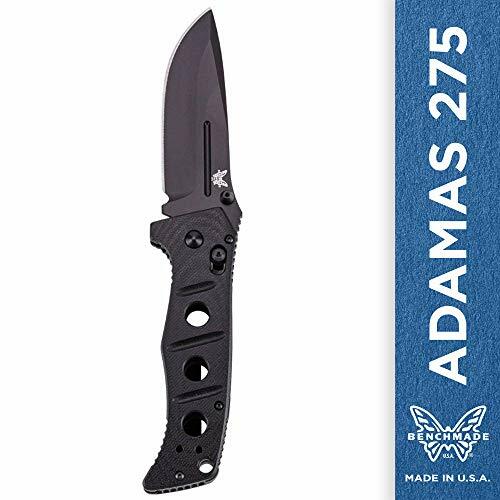 One of the biggest names in the knife industry is Spyderco, and this small 2.5 ounce (7.125 inch open) pocket knife is a top on this list as well as many others. The blade is VG-10 steel maintains its edge and is resistant to rust, while the hallmark handle is uses Bi-directional texturing for incredible comfort in a variety of positions while holding and working with the pocket knife. Some of the work on the knife is skeletonized, which allows for a lighter overall weight without cheapening the quality. As per Spyderco standards, the included back lock is both strong and easy to access. When using the knife for extended periods of time, or when adding great pressure to it, it still feels great in your hand. The lock is made to prevent accidental disengaging, and does so without hurting the natural shape of the handle that made it comfortable to begin with. Being one of the most highly rated pocket knives in their lineup, it is also one of the most durable and well-priced. The blade has a wonderful finish that speaks to the quality of Spyderco, and also works as a preventive measure for future rust. 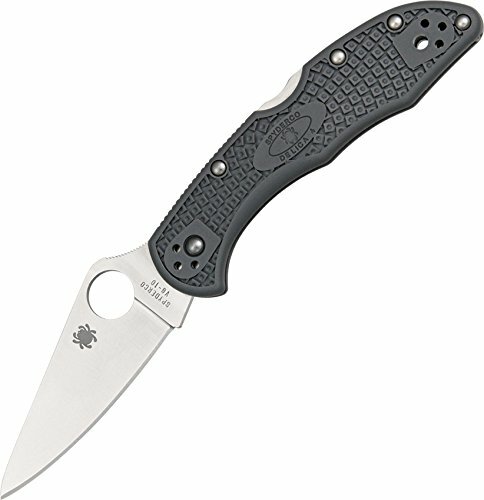 This is a top five pocket knife on this list from Spyderco, and probably won’t be the last. 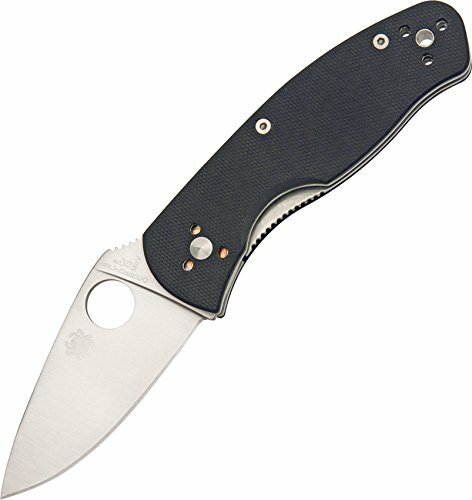 A lot less ambitious than the previous Spyderco offering, but still quite excellent, is the Spyderco Tenacious Plain Edge Knife. It weighs 4 ounces with a blade length of 3 3/8 inches, with the aforementioned blade made of steel 8CR13MOV. The handle is a comfortable G-10 laminate handle with skeletonized steel liners to increase power and durability. It includes the typical Spyderco round hole, and the blade itself is thick and ready for any kind of abuse you can throw at it. This is a quality knife that is comfortable in the hands and works in various daily tasks, yet doesn’t stand out from the rest. When put side by side with the Spyderco Delica4 which is around the same price, it becomes even more evident which is the better pocket knife. This is still a safe bet as a main pocket knife, as the Spyderco Tenacious Plain Edge Knife is a very well respected pocket knife. It just isn’t the best on the list, or even the best Spyderco pocket knife on the list for that matter. 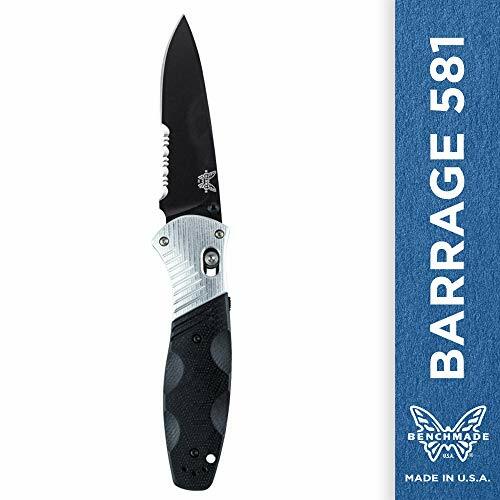 With one of the higher prices on the list the 154CM stainless steel blade from the Benchmade 553 Griptilian Knife not only meets expectations but exceeds them. The Blade is 3.45 inches, 0.115 thick with a hardness rating of 58-60 and manages to squeeze in ambidextrous thumb studs. The weight maxes out at 3.25 ounces and the total length is 8.07 inches, making it small, but not too small. It’s right there in the middle range in terms of size, practicality, and durability. All this being said the star may actually be the handle, a Valox with stainless steel liners and reversible steel pocket clip. This is useful in many ways for the everyday user that doesn’t want to carry any extra accessories for his pocket knife. The locking mechanism is the proven Axis system, and rivals other proven systems by other knife manufacturers. The Benchmade 553 Griptilian Knife is a bit on the premium side but is a spectacular buy, with the rugged feel to back it up for years. It’s always fun to discover and review multifunctional knives and compare them to the single use knife, as the race to bridge the gap between the two types never seems to come close. The Taylor Cutlery Ltc 80T Schrade Old Timer 3-Blade attempts to close that gap with its 400 series stainless steel 2.8 multiuse set, a collection of Sheep Foot & Spey Blades, this pocket knife has 3 total blades for their own specific use. It is very compact, and closed it is only about 4 inches, while the blades are a good 3 inches in length. The handle is a Delrin, and more or less does what it is supposed to do. There is nothing fancy about this one, there isn’t even a locking mechanism. You force it open, use, close it up. It’s not too bad for what it can be used for, and it is the lowest priced item on this list, but that price comes with sacrifice. This will not be in the family for generations, and possibly won’t even be in the original purchaser’s collection a couple of years down the road. Old style blades like this were actually better built, so it is a shame that this one couldn’t bring back some of that fame. As is, there are much better pocket knives elsewhere to be had for just a little bit more money. Another one of the premium pocket knives, the Benchmade 275BKSN Plain Edge Black Coated Blade is a good example of why style and substance are a good mix. The D2 blade is 3.82 inches with an overall knife length of 8.70 inches. The weight tops out at 12 ounces, but then again this is a heavy duty pocket knife. The thickness of the blade alone should tell most users this plain edge means business, and is a nice .160 inches and highly sharp, and extra durable. The AXIS locking system is ambidextrous, and seems to be reinforced even more with this particular model. Heavy usage won’t be a burden with the G10 handle with lanyard, and a nicely positioned reversible deep carry tip-up pocket clip. 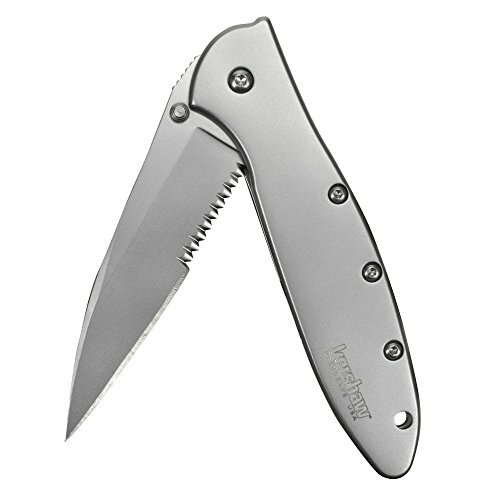 It’s loaded with premium features and doesn’t shy away from the looks department, being one of the more professional looking pocket knives on the list. This is considered a military style knife, and they even threw in a Sandy Molle pouch just to be nice. The price isn’t too outrageous, and it isn’t even the most expensive item on the list. This is a hard one to beat when it comes to pocket knives, because the value is so enormous. Easily one of the best pocket knives on the list, if not the best. The 3.5 AUS-8 steel blade with satin finish of the SOG Flash II Knife is both a functional yet attractive alternative to some of the other big name pocket knives. An overall length of 8 inches, with a light weight of only 3.1 ounces does not rob this pocket knife of any type of durability. SOG also took great care in the concern for safety for the knife wielder and added an additional safety lock for extra security, all without hampering the one hand use of the device with SOG Assisted Technology. The handle is glass-reinforced nylon and is surprisingly comfortable, even more than some of the higher end pocket knives. An added bonus is the reversible Bayonet pocket clip, and with the size and lightness of this pocket knife, it is a real steal at the price. The handle once again is not of the highest quality but it’s functional and feels really good when in use. And although the blade is durable, that doesn’t cover the rest of the mechanism which are great out of the box, but may wear out quickly over time. SOG Assisted technology is great and users will start to miss it when going to other pocket knives in similar price brackets. The SOG Flash II Knife is surprisingly great, not the greatest, but users won’t be disappointed at all with this purchase. What Makes a Good Knife Sheath? How to Evaluate your Hunting Knife? Besthuntingknives.org is a participant in the Amazon Services LLC Associates Program, an affiliate advertising program designed to provide a means for sites to earn advertising fees by advertising and linking to amazon.com.